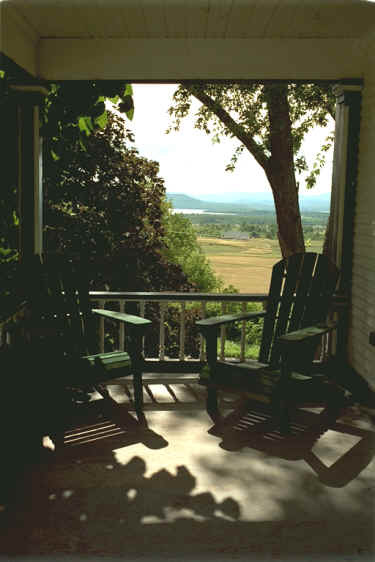 View the sunset from several rooms and your private porch. Complete kitchen all on one level. Outstanding westerly views from several windows. The spacious kitchen is centered on a large slab of Vermont marble and Homer Wells inventive brushed aluminum art. 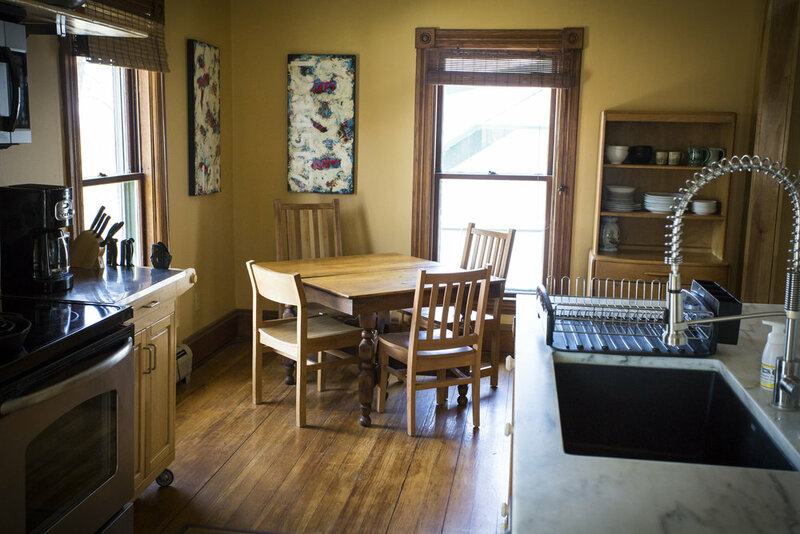 Historic charm is evident in the decorative molding, hardwood floors, original tin tub and marble sink. Tech savvy with large screen TV, cable options, quality speakers, and robust WIFI. Left Wing entry - Hardwood floors, locally sourced art, quality furniture. Left Wing kitchen - Plenty of counter space, dishwasher, custom brushed aluminum art. Master bedroom, handmade king bed, west windows facing the lake, sunset.